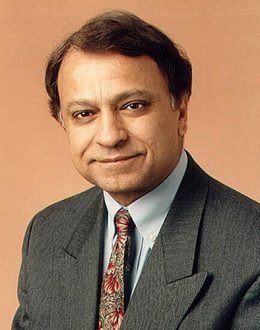 Amin Rajan is the Chief Executive of the Centre for Research in Employment and Technology in Europe (CREATE) – a pan-European network of prominent researchers undertaking high level advisory assignments for the UK Government, City institutions, multinational companies and international bodies such as the EU, OECD and ILO. He has also acted as a senior consultant to companies such as ABN-AMRO, Aegon Group, Barclays, BlackRock, BP, BT, Citibank, Credit Suisse, Deutsche Bank, EDS, Fiat, Ford, GSK, HSBC, IBM, ING Bank, JPMorgan Asset management, Legal & General plc, Lloyds Bank, Microsoft, Morgan Stanley, Motorola, Principal Global investors, RBC Dexia, Royal Bank of Scotland, Prudential, Rolls Royce, Royal SunAlliance, T.Rowe Price, Shell, Storehouse Group and UBS. He has held significant positions, including: Secretary, Economic Group, Cabinet Office, providing weekly briefs to the Prime Minister and the Forecaster, UK Treasury’s Econometric Model, producing forecasts of key macro indicators. As well as appearing on radio and television regularly, he contributes feature articles to The Financial Times, The Guardian, The Sunday Times, and The London Evening Standard. He has published numerous reports and articles on leadership, business cultures, strategic change, globalisation, new technologies and new business models. He has presented the results of his work at over 100 major events in the USA, Europe and Asia-Pacific in the last five years. His expertise covers, amongst others, leadership and new business models in financial services. He is a visiting professor at the Centre for Leadership Studies at Exeter University and an associate fellow at Oxford University’s Said Business School. In 1998 he was awarded the Aspen Institute’s Prize in leadership. It is a subject on which he has done extensive research involving some of today’s outstanding business leaders. In two resulting publications, he has developed a close link between leadership, strategy and the emerging business models. His work has proved so influential that he now provides leadership coaching to Chief Executives, executive committees and investment specialists in companies like: Allianz Global Investors, Microsoft, Shell, IBM, Deutsche Bank, Citi Group, Cisco System, BP, PriceWaterhouseCoopers, HSBC Holdings and many others.